A woman in Pennsylvania is seeking large compensatory damages for deep lacerations and lost time after she cut her hands on a shattered bowl in a Target store. The woman is seeking damages from both Target and the bowl’s manufacturer, claiming that both companies were negligent in allowing a defective and dangerous product enter the flow of commerce, resulting in permanent damage to her hand. The Plaintiff, a nurse, is also suing for lost time, as she has not been able to work during her rehabilitation period. Ms. Calabrase, the Plaintiff in this case, suffered nerve and bone damage when the shard of the bowl severed the nerves in her hands, causing major damage that will probably be permanent in certain aspects. Ms. Calabrase had to consult a hand surgeon,and underwent surgery to fix the nerve damage caused by the sharp bowl. These types of injuries demonstrate just how serious premises and product liability can be, and how cases vary from slip and falls to serious injuries while shopping. 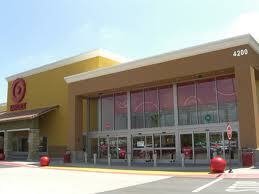 Large retail stores like Target are responsible for maintaining safe stores and selling safe products to their customers. Injuries like those suffered by the Pennsylvania nurse can affect work and cause permanent damage, disability, and affect every aspect of life. Stores can be found negligent for failing to clean up spills that cause falls, selling defective products, and not maintaining proper security for their customers. The attorneys at the Friedland | Carmona have extensive experience in premises liability, and have secured large settlements and jury awards for Plaintiffs injured on the premises of stores like Target, Publix, and Wal-Mart. If you have been injured due to the negligence of a store or retailer, don’t hesitate! Contact the Friedland | Carmona today. The Coral Gables automobile accident attorneys at the Friedland | Carmona handle all types of negligence and personal injury cases throughout the state of Florida, including Boca Raton, Homestead, North Miami, South Miami, Miami Beach, Coral Gables, Pembroke Pines, Hialeah, Kendall, Aventura, Fort Lauderdale, and Palm Beach. The Friedland | Carmona handles all types of personal injury cases, including wrongful death, defective products, medical malpractice, slip and falls,negligent and reckless drivers, and automobile accident. Call the Miami personal injury attorneys today and let our family take care of your family!